15ft Thick frame pad for 4.60 m trampoline. 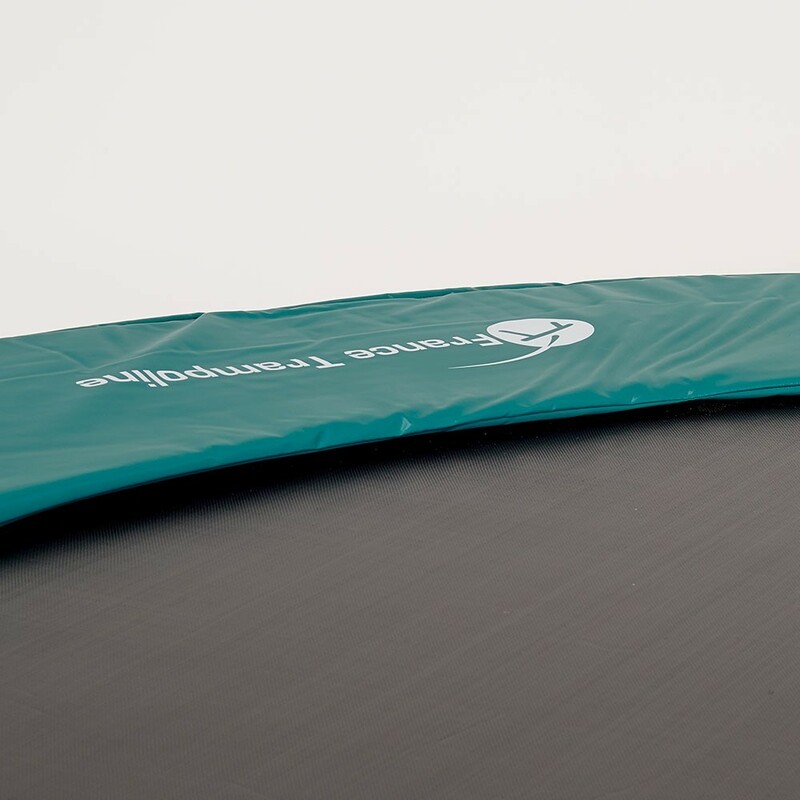 The frame pad is a component which is regularly used on a trampoline. 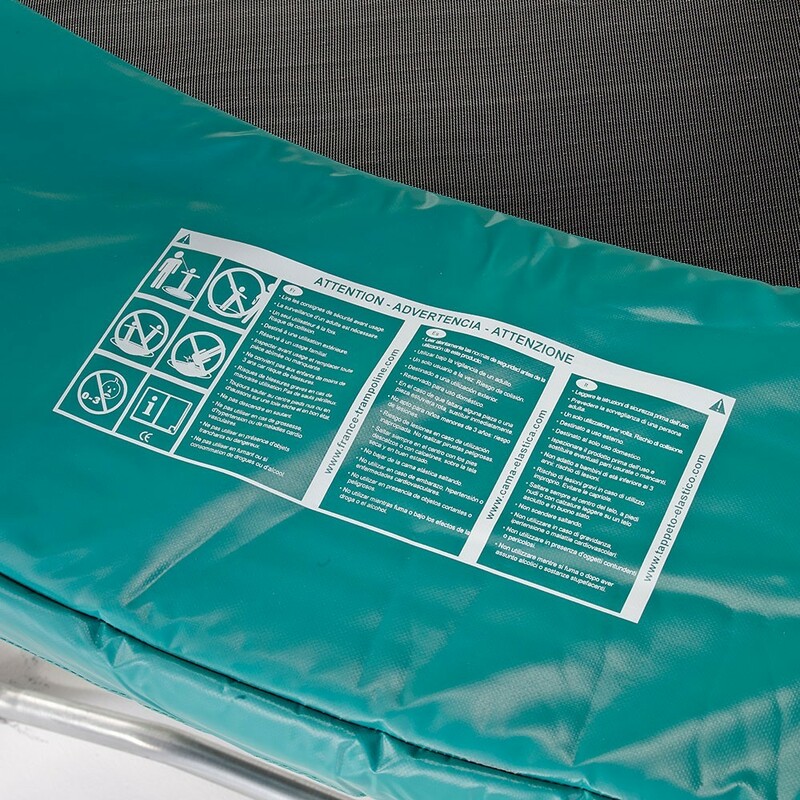 A bad fall or landing can easily happen and reliable protection, in good condition, is essential to guarantee safety. This component protects users from the springs and from the steel framework on the trampoline. France Trampoline offers high quality spare parts. 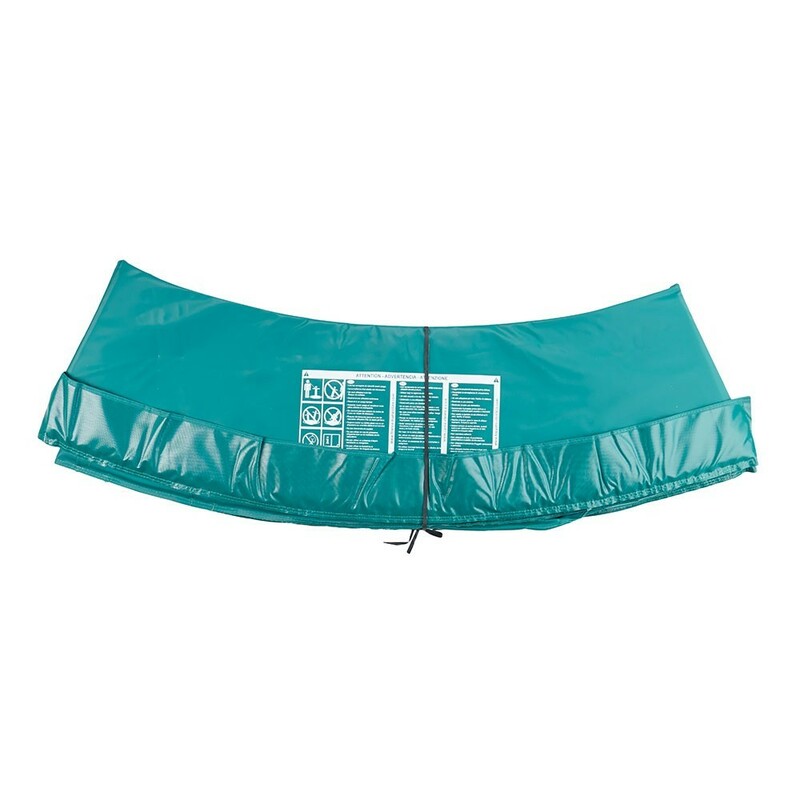 This frame pad is adapted to trampolines with a diameter of 4.60 m and with springs of a maximum 180 mm in length. 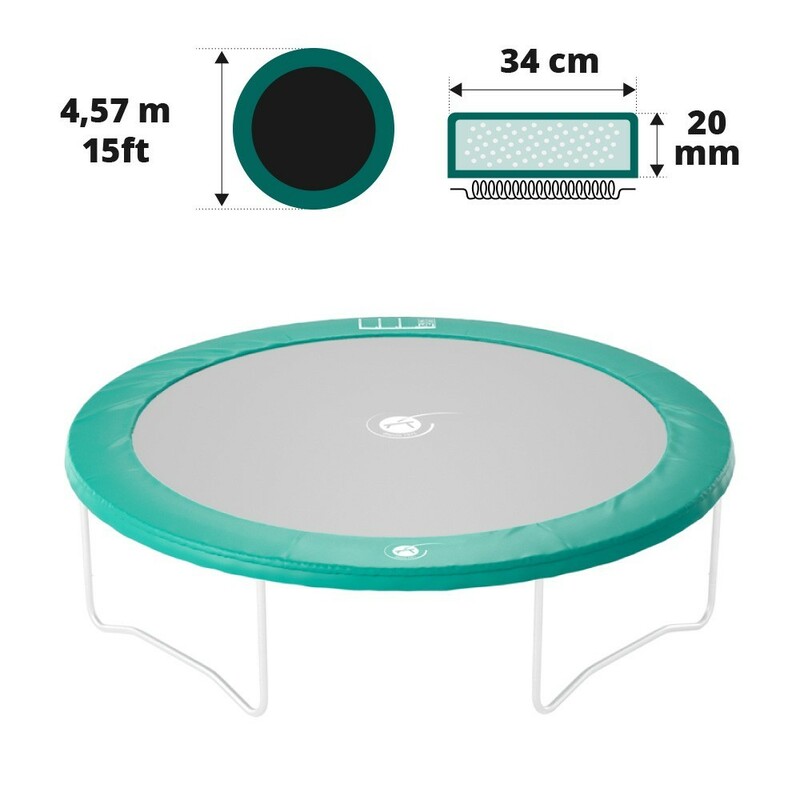 - This pad has been designed to be used with the Jump’Up 460 trampoline. However, it can be used with any trampoline, whatever the brand, as long as the springs are no longer than 180 mm in length. The exterior diameter of 4.56 m should be measured from steel edge to steel edge. - We use high quality products to make our frame pads. This foam is made from expanded polyethylene (also known as EPE), which is 25 mm thick and has been chosen because of its weather-resistant, frost and mould-resistant qualities. It is also very flexible, making it capable of absorbing repeated shocks. - This foam is made from one single layer. This guarantees solidity, contrary to most frame pads which are made from fragile slivers of foam. - We use a technical material coated in 650 g/m² dense PVC, with a thickness of 0.55 mm, making it tear-proof. - Our frame pads have a simple and effective fixation system. The pad is delivered with 20 black elastic straps which are inserted through steel eyelets placed regularly around the frame pad. The elastics are then placed around the framework to hold the frame pad in place. 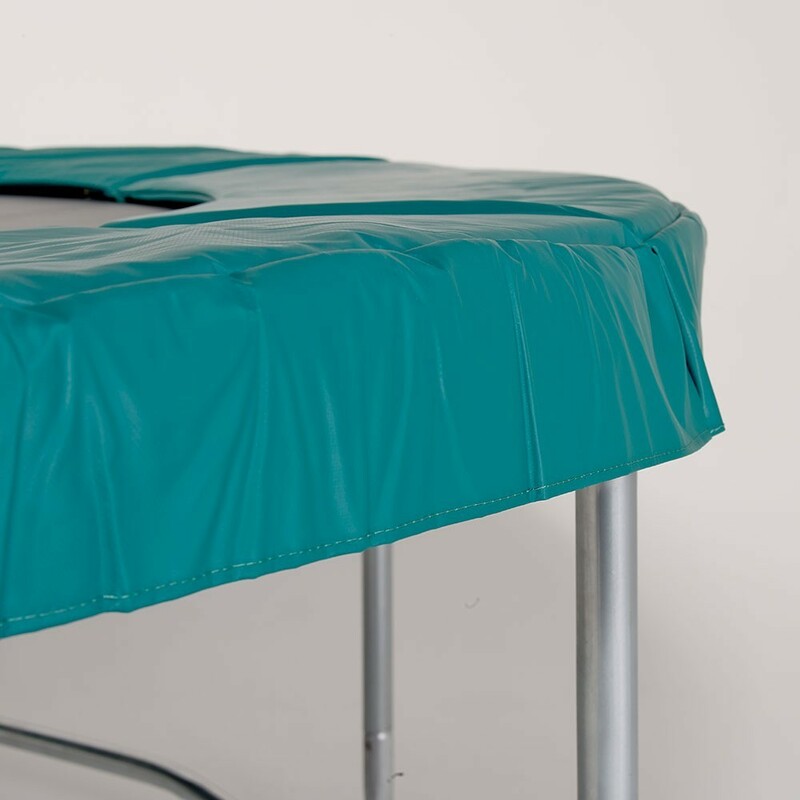 This system means that the frame pad is held slightly above the springs, avoiding any friction, whereas simple fabric straps could break more easily and tear the cover.